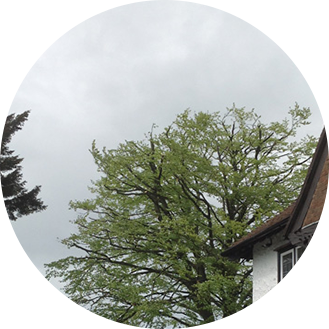 Crown Reduction or Tree Reduction is usually carried out when the crown is dying back. Dead wood needs to be removed and cut back to live wood to promote new growth. However, this is not generally recommended practice on a healthy tree, as it will create future problems. 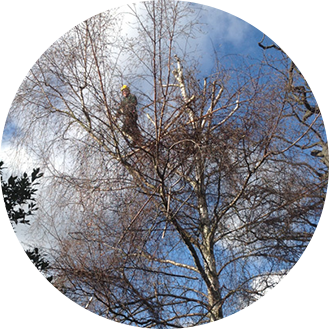 Tree reductions can be carried out by a MEWP or be tree surgeons climbing the tree. Crown reduction is NOT tree topping or tree lopping. Instead, when crown reduction is complete, there is still plenty structure left in the tree crown. Crown reduction is for the purpose of reducing weight off the tops of trees and does not always mean reducing the height, although height is often reduced too but it’s a case by case basis. The crown of a tree is what catches the force of storms. When wind catches the crown it can cause limbs to fail and break off or the tree itself to uproot. Crown reduction can reduce the possibility of such damage. The top of a tree acts as a sail especially when in leaf, and when the wind blows the crown catches the wind. Crown reduction reduces the size of the sail so that the wind has less of an impact on the tree. The crown reduction of a healthy tree can have the opposite effect, it can create vigour which in return can congest the crown and create more problems later, crown reduction on healthy trees will only be short term solution and long term will involve more expense on further crown reductions. The most common problem is a case of the wrong tree wrong place. 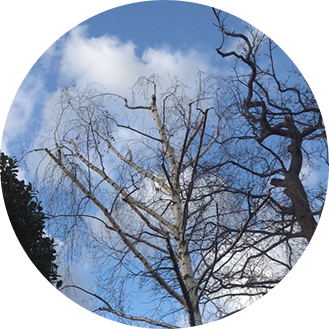 Ashwood Tree Surgeons Ltd operate throughout Croydon and the South East. 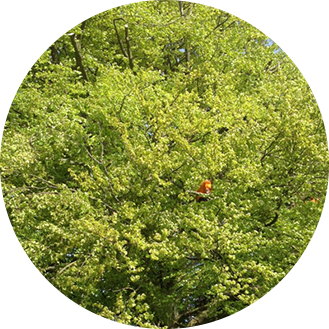 Our tree surgeons are all fully qualified for the work which they undertake and have over years experience in all aspects of tree care, which include dismantling, felling, crown lifting and reductions, dead wood removal, formative pruning, tree surveys to BS5837, tree hazard reports, pest and disease diagnosis, bat inspections, stump grinding or treating and tree planting. Our staff allows clients to be confident and assured of the quality of our work and our public liability insurance offers peace of mind. All work is carried out to BS3998 2010. In addition to domestic work we undertake commercial work for Local Authorities.